“I’m home!” exclaimed Gov. Vilma Santos at the press conference tendered for her and Sen. Ralph Recto by Mother Lily at the Imperial Palace Suites Wednesday night. Home, because she was in the company of her friends from the entertainment press, most of whom saw her start, growth and rise in her showbiz career, and now as a public servant. Speaking extemporaneously and from the heart, Ate Vi (as she is fondly called in the industry) impressed us all with her passion in her political career but she stressed that up to now she still doesn’t know why she ever got into politics. Well, it must have been because she married a politician in the person of Sen. Ralph Recto. Because one day, she just announced that she was running for mayor of Lipa City. “Never in my wildest dream did I entertain the idea of going into politics,” Vi said. Director Boots Plata, one of those close to her when she started her acting career at the age of 9, related that when he learned that Vi was running for mayor of Lipa City, he voiced his concern by saying “paano yan eh ang flag ceremony is at 7 a.m.” Vilma is known to be an insomniac and she normally wakes up at noon. She was elected and became the first lady mayor of Lipa City (she told Boots she was able to attend the flag ceremony after all), and also now the first lady governor of Batangas, a feat indeed for a diminutive and fragile-looking woman who is now known as a no-nonsense leader who has accomplished a lot. Because from the day she became a public servant, she put her heart and soul into it. She was determined to serve her people the best way she could, and her showbiz career took a back seat. It was Senator Ralph who prodded her to take a crash course in Public Administration at UP which equipped her with the necessary know-how on governance. She cited the late Prof. Vicky Bautista (wife of our movie critic Mario Bautista) for guiding her well in her course. “Twenty-five years ago, Vilma Santos, who is Ate Vi to all of us, met a handsome Batangueño. They came from different worlds. She is the country’s award-winning actress, while he is the grandson of nationalist, statesman and senator Claro M. Recto. But it’s destiny for the two of them. “In 1992, they walked down the aisle. They were a dream couple. Up to this day, they are being idolized by millions of Filipinos – from the sosyal to the masa. “Ralph, a third generation public servant, comes from a respected family of politicians. His lolo, Claro M. Recto, was a senator, while his father, Raphael Recto, was an assemblyman. Therefore, it is not surprising that Ralph also decided to embark on a political career, even if it meant going against the wishes of his father. “Ralph carved his own credentials and showed everyone his distinguished merits. As the youngest congressman for Batangas during his first term, he learned the ropes of lawmaking. He connected with people, going from house to house and playing basketball in the barangays. “From the congress to the Senate, Ralph displayed his wealth of experience in legislative and executive governance. “Ate Vi tops the list of best actresses in Philippine cinema – an undisputed box-office queen and award-winning star. She has done memorable and significant films like “Sister Stella L,” which made her more conscious of how to serve the Filipino people. “Her track record is impressive. Her accomplishments are remarkable. She has truly become a Batangueña by heart. 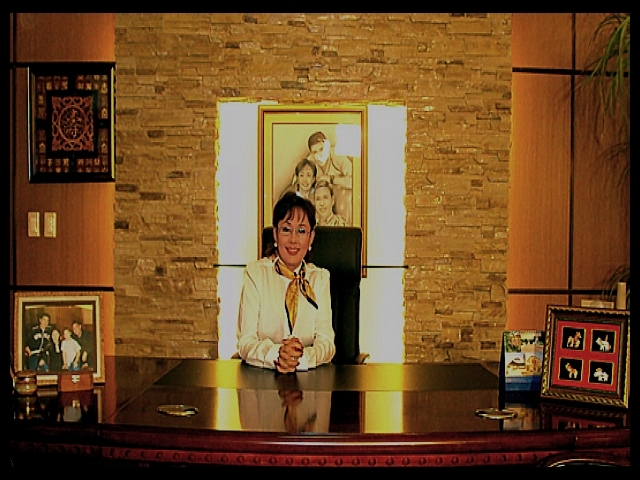 “Vilma has been doing a great job in Batangas and she deserves another term as governor. Meanwhile, let’s bring back Ralph to the Senate, so he can continue creating government policies that can benefit a greater number of people. Recto to scrap EVAT law? – It was believed that Senator Recto failed to get reelected in the 2007 elections because of the EVAT law which he authored. But now, he vows that if he gets reelected as senator in May, the former economic planning secretary will initiate a proposal to reduce or totally scrap value-added taxes if the new administration will use the collected revenues for which they are intended. He said that when he authored the law imposing expanded value-added tax (EVAT) on goods and services, he had the best intention in mind. He claimed that the EVAT law is just a bitter medicine imposed by the government to cure fiscal crisis. “When we pushed for the EVAT in 2004, the country was on the brink of fiscal crisis. We had the best intention in mind. We wanted revenues from EVAT to be used for education and health care services especially for the poor. Unfortunately, this administration (Arroyo’s) did not spend those resources as properly as we wanted them to and that is why I went to the Liberal Party because I know that Senators Noynoy Aquino and Mar Roxas would spend these resources better,” Recto said. He added that if Aquino and Roxas will take the helm of Malacañang after the national elections in May, reduction or eventual cancelling of EVAT is a possibility since the priority of the Liberal Party standard bearers is to eradicate corruption in the ranks of government. This entry was posted in ARTICLES and tagged ARTICLES, I’m home!. Bookmark the permalink.